The six packets suspected to contain drugs found in the house. KUCHING: Police arrested four persons suspected of selling illegal lottery in the Tabuan Jaya area on Feb 28. District police chief Abang Ahmad Abang Julai said the four suspects (three female and a male) were picked up at four different locations, and the case would be investigated under Section 4A(a) of the Common Gaming Houses Act 1953. He said one of the suspects was picked up from a mobile shop, another at food premises at Jalan Bayor Bukit, the third and fouth suspects at a sundry shop and a DVD premises respectively in Jalan Canna. 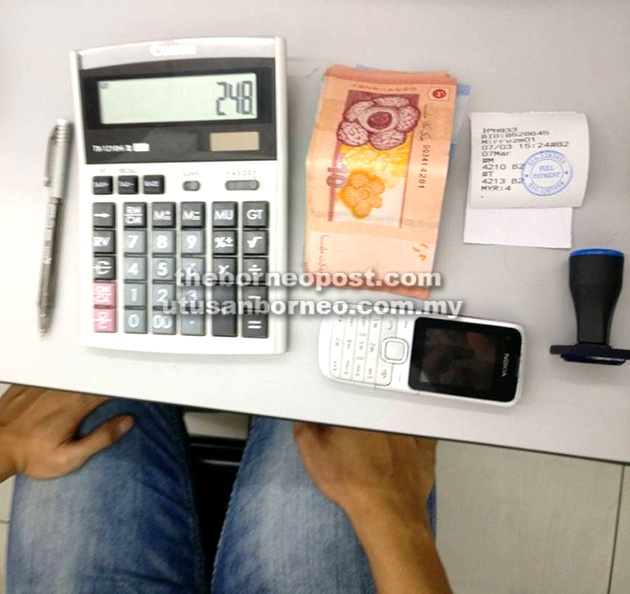 Various gambling paraphernalia and RM259 were seized from the suspects.